Coleen is a change agent, constantly pushing the limits of what's possible and pushing her teams to think and approach problems differently. She started learning the ropes at EMC back in 1999, moved to work for two different resellers where she quickly saw the unique challenges resellers face everyday, representing dozens of suppliers and competing priorities. 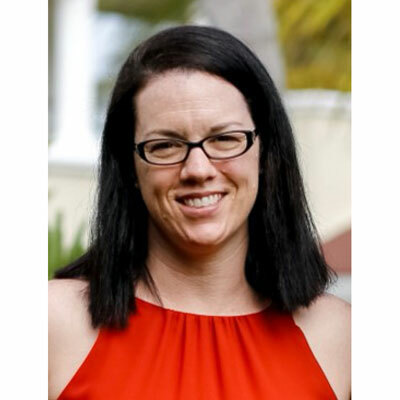 She then moved to Cisco Systems and mastered the unique corporate reseller (DMR) business making her an ideal candidate to rebuild the channel partner program at Tenable Network Security. Now at VMware, she has woven all of these skills together to guide her team through a transformational journey elevating partner plans to highly effective, deeply integrated campaigns that surpass goals. Coleen is an avid runner, crossfitter, and proud mother of two teenage boys. In the first 6 months I was with VMware, I was able to be an advocate for partners to ensure their voices were considered throughout decision making processes. I've added rigor to the process of receiving and considering partner feedback and comments, tightened budgets and created an integrated planning framework and planning timeline for partners to follow. I also placed a focus on my team, ensuring my existing team members received training to advance in their roles and their careers and identified needed resources and hired to fill those roles. I am an integral part of the partner program team and weigh in on decisions related to our partners. In 2018, it's all about stickiness, relevance and strengthening our partnership with Dell EMC. We have a unique opportunity for growth that we need to continue to educate our partners on. In 2018, we will provide them with the tools they need to execute highly impactful demand generation campaigns for VMware and Dell EMC. Unfortunately, two torn hamstrings and a torn abductor kept me from competing in marathons last year, but I have started training again for a half marathon in 2018 and the Marine Corp marathon in October 2019. Rosa Parks. I see a lot of myself in her. I always stand up for what's right over what's convenient or socially acceptable, and always in a manner that is appropriate and with class. Your girlfriends are the sisters you picked out for yourself. Learn how to work in a group of 3. I'd like to be a bit more technical and I need to focus more on social media. Sharing my perspectives with connections on LinkedIn and using the platform to have meaningful conversations with other professionals. There were so many to choose from this year but I would have to say "Stronger" by Jeff Bauman. Don't get me wrong, it wasn't a literary masterpiece, but it was real and raw. What Jeff went through was unthinkable and something most of us will never experience. At the time I was recovering from a torn hamstring and torn adductor, but I was still going to the gym every day, working around it. The book helped me to stay on track. Without running, the rest of my world falls apart. Running gives me balance and serenity.